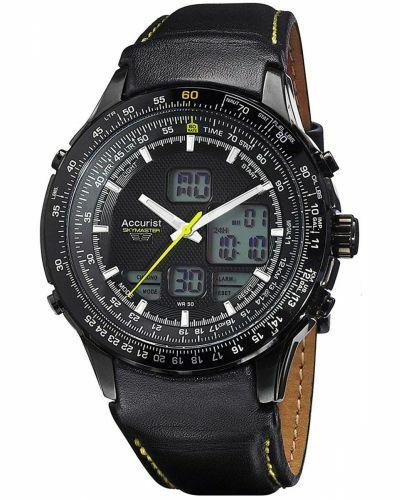 This stunning mens watch from Accurist has a brown leather strap, supporting a contrasting black ION plated casing. The dial features many functions and multi dials, displaying the date, the second hand and the chronograph. 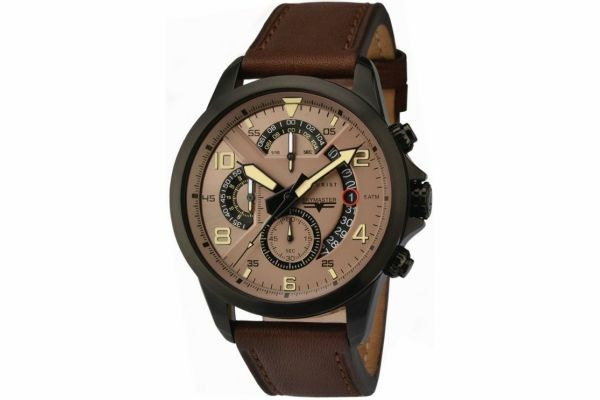 This watch has a sporty, outdoors feel and is perfect for casual wear during activities. This watch is battery powered and comes with a 2 year guarantee. For us to size your new Accurist Skymaster watch as accurately as possible, please take a look at our downloadable Watch Sizing Guide.